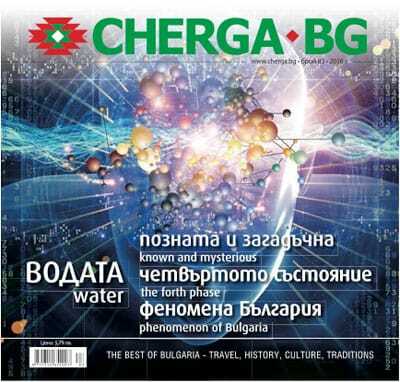 Bulgaria continues to be a country where thrill and adventure are still alive. Here one can still visit places where no tourist has ever set foot on or see villages where life continues with the same rhythm as centuries ago when traveling meant getting to know Europe – that Europe that shall never be the same again. Here the taste of the food, the air and even the scenery itself come as if from another dimension, while cycling, skiing (including free ride) or just taking a walk through the deep snow are just a pretext. The real essence lies in that type of travel that’s deep within us and back in time. Alternative forms of tourism that have lately become popular combine tourist packages or individual offers as an alternative to the mass tourist product. These are rural, eco and mountain tourism. Ski tracking, mountain biking and horse riding, rafting and taking alpine routes are particularly popular among fans of the so-called adventure tourism which is also considered of an alternative type. Thematic tourism, also part of this group, is related to cultural and historic heritage, esoteric places, religion, wine, traditional cuisine, ethnography, folk music and crafts. 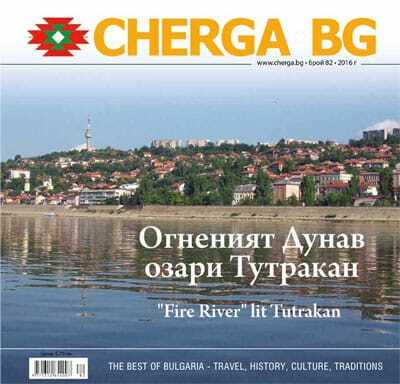 Alternative tourism in Bulgaria dates back to the 1990s. Our country has unique natural and cultural-historic resources for developing a tourism different from the mass type one. Originates from North America in the mid 1980s when travels to the most distant and nature preserved places emjoyed huge interest. The greatest variety and number of ecotourism programs are to be found in countries with the biggest bio-diversity, boasting national parks and local communities where traditions have been kept. Worldwide, the term “eco tourism” includes animal watching, e.g. huge animal species like rhynos, lions, gorillas, etc. in their natural jungle habitat, or alternatively whales and turtles in seas and oceans. Another interesting place for eco tourism are northern latitudes where tourists can marvel at polar bears and seals and the very influence of modern civilization is down to a minimum. In Bulgaria it is worth seeing the brown bear in the mountains of Stara Planina, Rila and Pirin, the pelicans in the lake of Srebarna and the birds at the Black sea coast. Flora fans can enjoy botanic tours focusing on orchids, as well as visits to the natural reserves Boatin, Parangalitza and Bajovi dupki – Dzhindzhiritza. This type of tourism is characterized by a predominant contact with nature and tourists’ active participation. Its main followers are young people and those working under stress for whom being out in the open, with a combination of some activity and sport, is very important. Internationally speaking, this is the most dynamically developing segment and Bulgaria offers excellent resources in this field. Rural and agro tourism are a type of alternative tourism. Their origins are related to Western Europe’s post-war recovery when support for farmers’ initiatives in the field of tourism prevented a wave of immigration among the population in rural areas, while the latter were themselves revived. This type of tourism involves staying in rural places, meeting the owners, going around their farm or enjoying a short stay there. All this could be done over a weekend or as part of a whole tour. 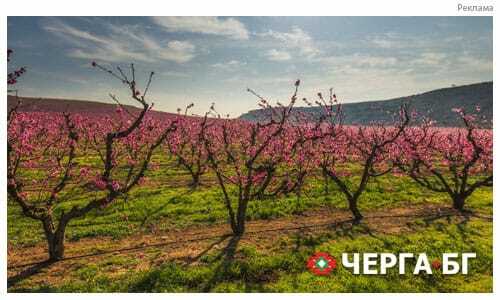 In both cases tourists expect to join in the household’s daily life: picking fruit and vegetables, gathering herbs, preparing traditional dishes, taking part in local festivities and customs, watching or taking part in the practicing of local crafts, folklore and farm-life traditions. 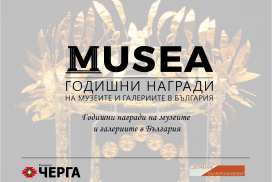 These activities are often accompanied by various types of active or cultural tourism – mountain biking, riding, visiting monasteries, museums, archeological sites or crafts schools, or most often – a combination of all these. Alternative tourism opportunities in Bulgaria are primarily related to places like the Rhodopi mountains and those of Rila, Pirin and the Central Balkan. The Rhodopi mountains are a favorite place for relaxation out in the nature. Many guest houses there are already welcoming tourists, offering a warm welcome and great hospitality. One can also explore pedestrian and cycling routes, horse riding, rafting, bird-watching, etc. 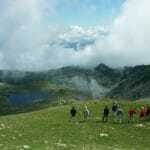 The Rila and Pirin region is characterized by high altitudes. Here tourists can choose between a number of predominantly pedestrian tracks that vary in length and level of difficulty. Accommodation is usually in high mountain chalets. Mountain villages also offer accommodation in guest houses and small hotels. Adrenalin lovers shall definitely appreciate rafting down the Struma river. The Central Balkan also offers quite a number of options for alternative tourism. Villages on both sides of the mountain ridge offer good rural tourism attractions. 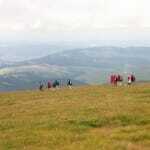 They are the starting point for all high-mountain excursions where one can see some interesting animal species. Tourists can opt for a mountain guide who can be hired at some of the local tourist info centers. Guides provide valuable information about the region and its history, as well as guidance with local flora and fauna species. In the area of the town of Sopot tourists can also practice extreme sports, such as paragliding and climbing. 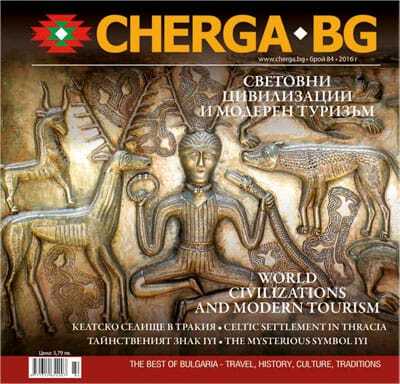 The unique Bulgarian natural, historic and cultural heritage undoubtedly attracts great interest both in the country and abroad. 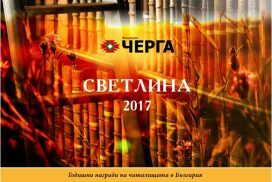 In the last couple of years there is an increase in the flow of tourists from Germany, France, Britain, Israel, Holland, the USA, the Scandinavian countries and Japan, shows data provided by the Bulgarian Association for Alternative Tourism. Many European citizens have even decided to stay and live permanently in Bulgarian villages and small towns. However, it is impossible to define with certainty the ratio between Bulgarians and foreigners using alternative tourism services. There is a tendency towards tourist profile variety. 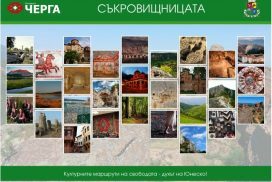 Foreigners visiting Bulgaria with an ‘active holiday’ purpose tend to be between 35 and 55 years old, with a similar holiday track record and for whom Bulgaria is just the next place to see. They are usually experienced and well-informed, interested in local culture and customs and having high expectations towards the local tourist product. Bulgarians using these services are most of all young people looking for something different and interesting to do during their holidays.